Albon should pick the 66 in order to complete that list. Force India name after 11 years vanishes from F1! Cause drivers can pick their own numbers now. Bo77as for instance. I'm pretty sure most of them have been asked for the reasoning behind them at some point. There ya go eh? Never knew that was his full name. Hated Force India for a team name but jeez at least it was better than Racing Point. I was just thinking that Racing Point is going to be weird after a decade or so of Force India. But yeah, pretty rubbish name. 55 was my initial race number I picked for myself, I chose it because it corresponded with my car's number plate at that time so I thought that would have a nice symmetry. Nowadays number plates are 3 digit numbers unless you but a private number plate. To be fair, 'Force India' was a pretty weird name when it was first announced, and didn't seem like an F1 team name at all. If they're still 'Racing Point' in a decade then it'll probably seem pretty normal by then. That'd be even better if you brought sponsorship from the French city of Nice. So apparently 'Racing Point' is just a placeholder and a new, new name will be in place for the 2019 season. Maybe a bit lame, don't the Canadians refer to themselves as Canucks, so how about Canuck Racing? As a Blackhawks fan, I would feel obligated to hate them if they called themselves that. I take it Canuck only covers a region of Canada? Blah. They should IMO just keep the old order, champion gets 1, his teammate 2, the team next in line 3-4, and so on. It's bearable but a bit confusing. No, it's a hockey joke. The Canucks and Blackhawks are two teams with a heated rivalry. Canuck does indeed describe any Canadian, as far as I'm aware. Fair enough I wasn't wrong then, so the Blackhawks are an American team, close to were you are perhaps? Yeah was that not the hand that Wild Bill Hickcock had before he was shot in the back and killed? 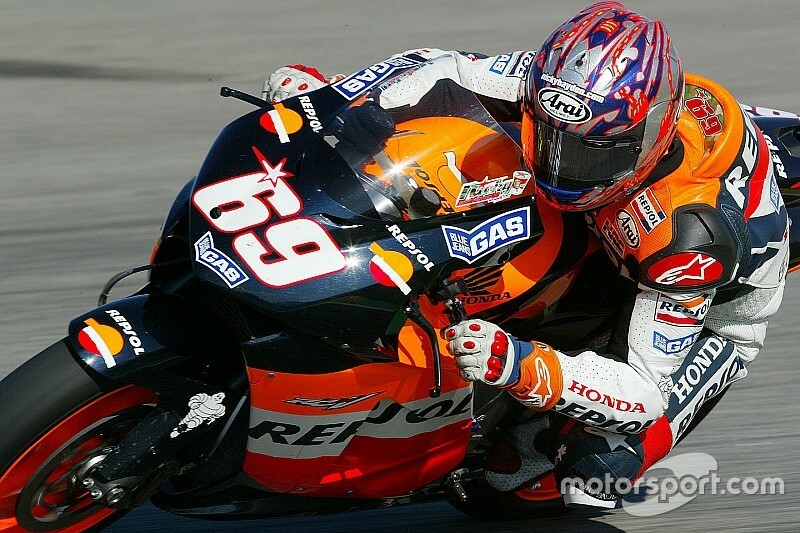 It was MotoGPs Nicky Hayden's number. His father used the same number when he was racing because it read the same whichever way the bike ended up. So way before the Brundle story.